Mandela was an anti-apartheid campaign manager and activist in South Africa. 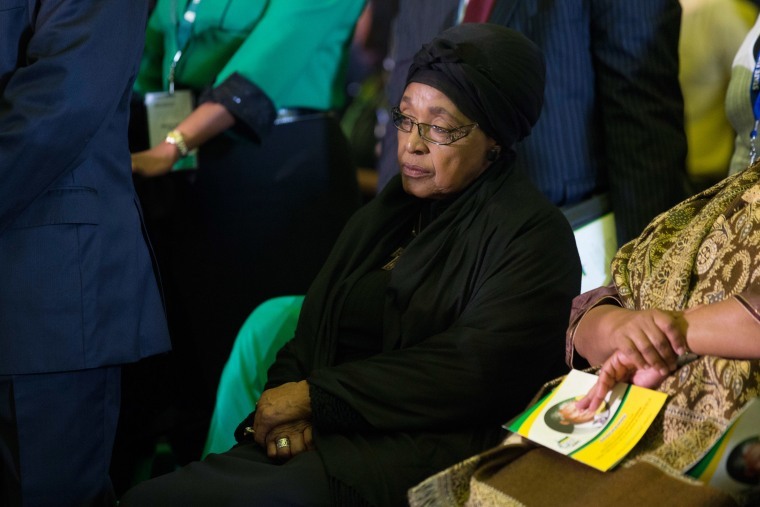 Winnie Mandela, widely known for being the campaign manager for anti-apartheid movements in South Africa and widow of Nelson Mandela has passed away today at 81-years-old, the BBC reports. "She died after a long illness, for which she had been in and out of hospital since the start of the year...She succumbed peacefully in the early hours of Monday afternoon surrounded by her family and loved ones" said family spokesperson Victor Dlamini in a statement. Winnie and Nelson Mandela were married in the late 50s and remained together for 38 years, most of which Nelson spent behind bars, the two divorced in 1996 but Willie kept Mandela's last name.